Defaulting on a home loan, such as a VA Mortgage, often puts would-be homebuyers in a tough financial spot. However, unlike homeowners with FHA loans or conventional ones, VA borrowers may be able to rejoin the ranks of homeownership more quickly given this benefit program’s more flexible requirements. This is especially good news given today’s low mortgage rates and the pace at which this decade’s home values have been rising nationwide. Home affordability is high today, but may move lower into the start of 2016. So, even if you’ve defaulted on a VA Mortgage loan, you may be eligible to become a “boomerang buyer,” just a couple years removed from a foreclosure. 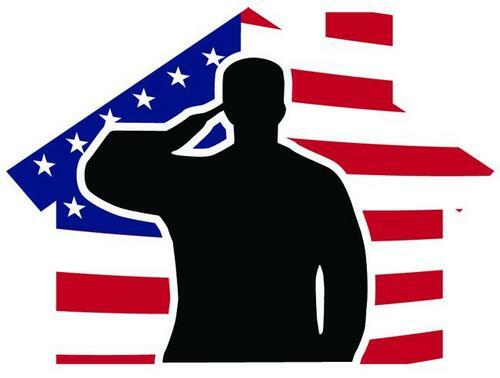 For military borrowers using the VA Home Loan Guaranty program, your success in financing a home after a foreclosure will be affected by the type of loan on which you defaulting. For example, veterans and active duty members who lose a conventional mortgage to foreclosure typically must wait a minimum of two years before being eligible for a new VA loan. For homeowners defaulting on an FHA loan, the wait could be as long as three years. Therefore, if you’re a military borrower who defaulted on a conventional or FHA loan, rather than rush the process, you may find that your time is best spent mending finances and repairing credit. A foreclosure could slash as many as 120 points from your credit score, according to credit scoring firm FICO. However, with time and attention to your score, you can potentially reclaim those points in time to be home-loan eligible with the Department of Veterans Affairs. Credit benchmarks can vary by lender and other factors, but a 620 FICO score is a common requirement among VA lenders. Defaulting on a government-backed loan can make for a bumpy road back to homeownership, but it doesn’t mean you can’t get another VA home loan. There’s typically a two-year seasoning period before you can pursue another. Some VA lenders may have no waiting period following a short sale. Would-be buyers will also need to determine how much VA loan entitlement they have remaining. VA loan entitlement can be a tough concept to nail down, especially in cases of default, but it’s crucial to the VA homebuying process. Veterans who are eligible for a VA home loan have this entitlement, which is essentially a financial commitment from the VA to repay a portion of the loan in case of default. Veterans use at least a portion of their entitlement every time they purchase. When a VA homeowner defaults, they lose whatever entitlement they utilized on the home. The only way to get it back is to repay the VA in full. But many buyers have enough entitlement left over to pursue another VA loan. Lenders will need to see the veteran’s Certificate of Eligibility (COE) to determine how much entitlement they have left. Veterans using their remaining entitlement also must borrow more than $144,000 to make these purchases work. To be sure, simply having remaining VA loan entitlement doesn’t automatically guarantee a home loan after a foreclosure. Credit score, debts and income will still play a critical role in the loan approval process. In short, borrowers with sufficient entitlement left still have to satisfy both VA and lender requirements before securing another loan. The most important factors to remember when pursuing another VA-backed home loan after default are entitlement and credit. After taking the time to rebuild your credit, talk to a lender about your COE to determine how much entitlement you have left. This will help you decide if pursuing another VA loan is a viable option, and if so, what your zero-down purchasing power might look like. Home values are rising and mortgage rates are low, making today an interesting time to consider buying a new home. Thankfully, for homeowners with a history of foreclosure, getting approved for a loan is simpler than it was.